This convenient, easy-to-use resource provides a comprehensive analysis of notable changes since the 2015 International Residential Code, including the origins, implications, and real-world applications of those changes. Covering updates to building, energy, mechanical, fuel gas, plumbing, and electrical provisions of the IRC, the text presents an analysis of affected code sections, highlighting modifications to the existing language with strikethroughs and underlines. Each update also features a brief explanation, detailed illustrations, and thoughtful discussion of the changes' significance, so you can interpret the code's technical jargon and understand its practical applications to real-world scenarios. 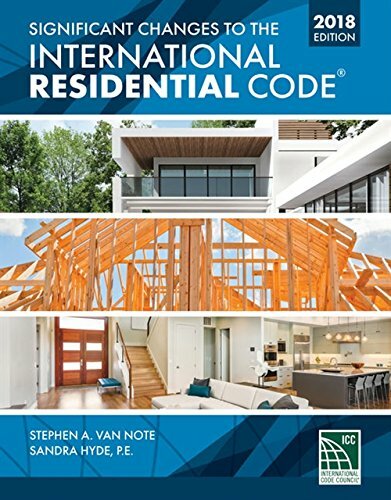 With its attention to detail, logical organization, and thorough, yet concise coverage, SIGNIFICANT CHANGES TO THE INTERNATIONAL RESIDENTIAL CODE, 2018 Edition, is an ideal resource to help you transition from the 2015 IRC.